This is a guest post from our friends at Main Street Hub. If you’re interested in learning more about how Main Street Hub can help your hotel, click here for a free assessment. A hotel owner who engages with guests on the platforms they use gains a huge advantage over competitors who aren’t tuned into those channels. 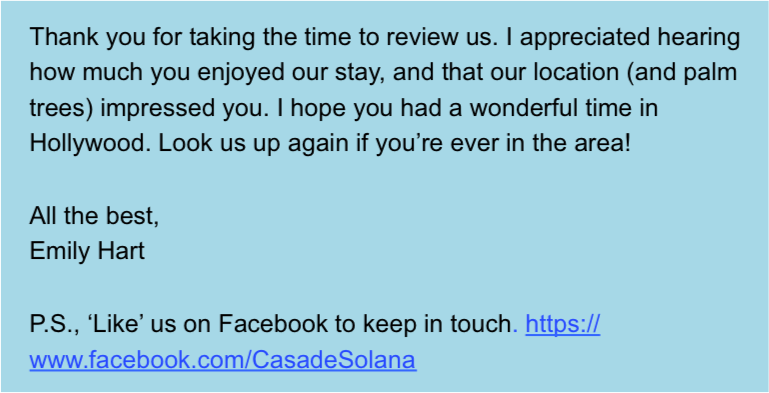 With that, it’s probably safe to bet that you understand the importance of listening to feedback and putting it into action to improve the overall guest experience. 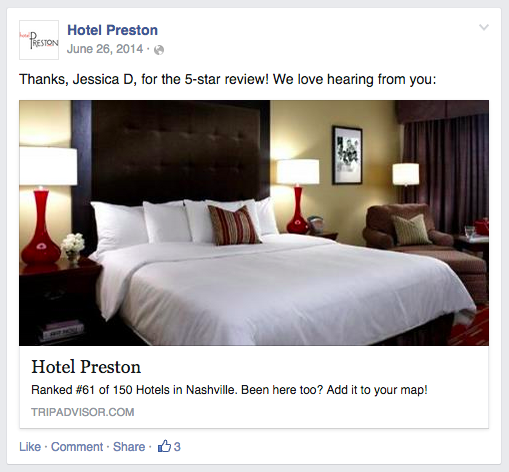 Today, numerous channels exist for you to not only see what people are saying about visits to your hotel, but also to initiate and moderate meaningful conversations around what’s delighting your visitors and what has left them wanting. There’s more than one way to show your guests that you really care about what they have to say. 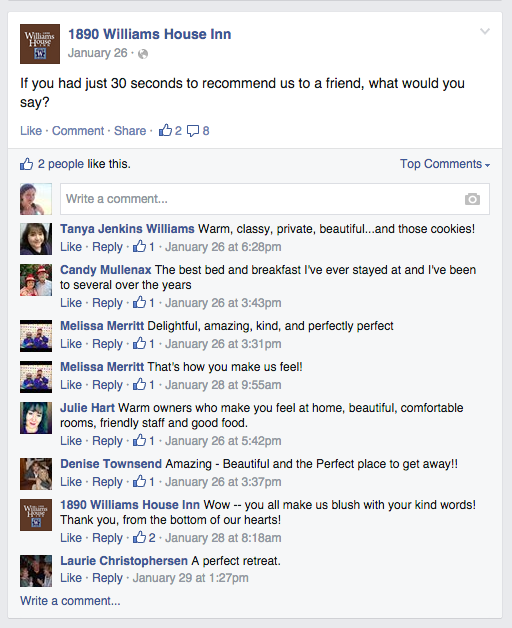 Taking the time to respond to your reviews on sites like TripAdvisor and Expedia is one way. But before you can do that, people must first be able to find your social and reviews pages online. Let’s look at some tips and tricks on how you can drive traffic to your pages and spread positive word of mouth through cross-promotion. Cross-promote your social pages by doing something as simple as including a link to ‘Like’ your Facebook page in any emails or private review responses that you write. Show your customers that you really care by giving them plenty of opportunities to let you know how you’re doing. Sometimes just asking the question alerts you to an issue that you might not have been aware of. As an added bonus, it also gives happy guests a chance to share some love. And let’s be honest, does anything make your day more than hearing someone rave about a visit that exceeded expectations? There’s a good chance that a person who ‘likes’ you on Facebook will want to hear what you’re saying on Twitter and vice versa. All of these cross-promotions will help you gain followers and drive traffic to your social media and reviews pages, bringing your online presence full circle. 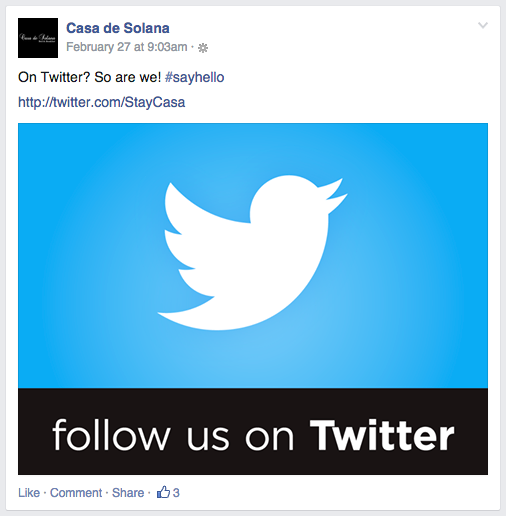 The only thing standing between your hotel and increased engagement is a shared link! If you’re interested in learning more about how Main Street Hub can help your hotel with all of this and more, click here for a free assessment. Main Street Hub is a do-it-for-you marketing platform for local businesses and has published more than one million pieces of content for thousands of restaurants across the country. Here, their team shares tips and best practices for managing your social channels, growing your audience, and representing your brand in the best possible light.